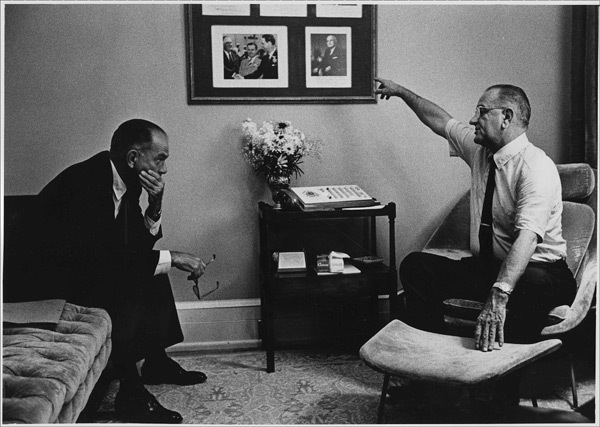 Senator William J. Fulbright is without doubt one of the titans of U.S. politics in the twentieth century. The longest-serving chairman of the Senate Foreign Relations Committee, Fulbright was senator for Arkansas for thirty years (1944-74) and left a singular imprint on U.S. foreign policy during those decades. As a result his stature is possibly as great internationally as nationally. This conference brings together a selected group of scholars to examine Fulbright’s contribution and re-assess his legacy in the context of U.S. foreign relations, and, more broadly, global developments in the twentieth century. The two-day conference is built around two central themes, which partly overlap but also contrast with each other in important ways. Firstly, we want to consider the Fulbright Program itself as the embodiment of the Senator’s aim to both contribute to the fostering of a global intellectual elite centered on the United States, as well as internationalize U.S. culture and society. Arguably Fulbright’s most lasting achievement, the Program has proved to be a vital element in global knowledge transfer, with around 325,000 alumni to date. While we welcome proposals that address the domestic and political origins of the exchange program, we are particularly interested in proposals that examine the Fulbright program in local contexts across space and time. Secondly, the conference will focus on Fulbright’s contributions toward liberal internationalism in the twentieth century. From his early legal work in international law to his later career on the global stage, the Arkansas Senator is a political paradigm for a certain kind of U.S. world leadership based on effective international organizations (including the UN) and the promotion of modernization and development abroad. In this respect, his opposition to the Vietnam war exemplifies Fulbright’s particular vision on the uses and abuses of U.S. power globally. Committed to liberal internationalism and multilateral governance, Fulbright was also at heart a Southern politician, who embraced the region’s sectional interests, including opposition to the civil rights’ agenda. That contrast between provincialism and cosmopolitan aspirations shows a divide that still has consequences for America’s global policies, and for the perceptions others have of the U.S. international presence. Proposals are welcome that address, as individual papers (no group panels) the following: any aspect of Fulbright’s philosophy, its effects on other nations’ foreign policy conduct or style of internationalism, the embodiments and contradictions of Fulbright’s approach to the internationalism of his day, particular southern variants of mid-century internationalism, racial, class, and gender aspects of liberal internationalism or the Fulbright exchange program, and the tensions between provincialism and cosmopolitanism inherent in Fulbright’s career. The conference, sponsored by the Diane D. Blair Center of Southern Politics and Society, will be part of its distinguished Blair-Rockefeller Legacy Series. The event “J. William Fulbright in International Perspective” will be the sixth in the Series, which was inaugurated in 2001 with an analysis of the Clinton Administration, and has most recently included an examination of the legacy of George W. Bush’s foreign policy. The Center will provide substantial coverage of travel and lodging costs. Please send a 400 word abstract, together with a short CV (4 pp. max. ), to fulbrightlegacy@gmail.com by 15 July 2014. The convenors expect to publish a selection of revised papers as chapters in an ensuing volume.